New Delhi: ( 0/9/12/18) Building on the roaring success of the inaugural edition of the Khelo india School Games, Ministry of Youth Affairs and Sports atong with Star Sports kick started the countdown to Khelo India Youth Games, Maharashtra 2019 with an appeal to encourage india 1 to play more with the evocative #5MinuteAur’ campaign. 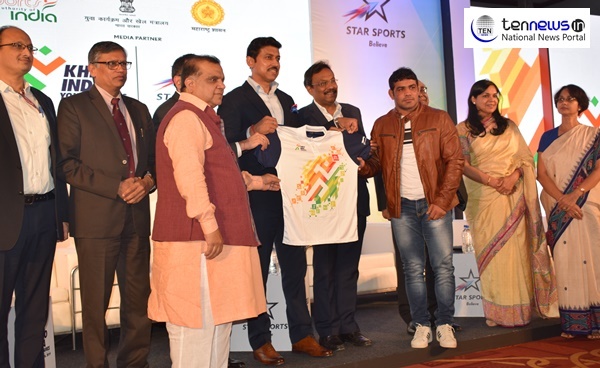 The campaign has a strong call to action, taking the Khelo India movement forward, featuring Manu Bhaker, Jeremy lalrinnunga, Saurabh Chaudhary, Lakshya Sen, Esha Singh, Tababi Devi, Srihari Natraj and champions Mary Kom, Sushil Kumar amongst others bringing childhood pIayground memories to life. and 7 Union Territories. The games will bring to life by over 6200 athtetes, 1800 Technical Officials, 1000 volunteers and 1000 personnel working behind the scenes.